JSitemap Pro 4. 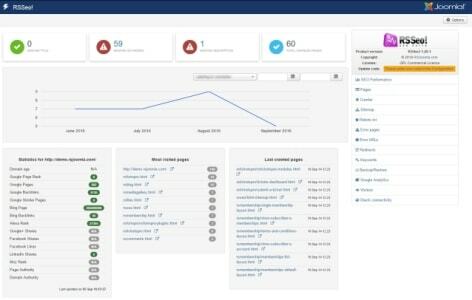 6.2 - the new version of the powerful and popular SEO tool for creation and management of a site map for cms Joomla! By means of this component you can increase indexing of pages of your website. Features of a component: flexible control of generation of the card, support of system of caching, the editor of htaccess, generation of references in real time during creation of materials, search of beaten exiles, creation of various XML types of cards (mobile, images, news), compatibility with other Joomla expansions, XML/KML geolocations. RSSEO! v1.20.19 - new release of one of the leading seo of expansions for Joomla! 3. A useful set of necessary tools will facilitate optimization of your website for all popular search robots. All tools are switched on in one packet of a component. From basic functions it is possible to select verifiability of copyright, comparison of characteristics of the project with the websites of competitors, tracking of positions in delivery, scanning of all pages, the advanced manager of meta data, automatic adding of tags to images, editing the Robots.txt file and generation of a site map. 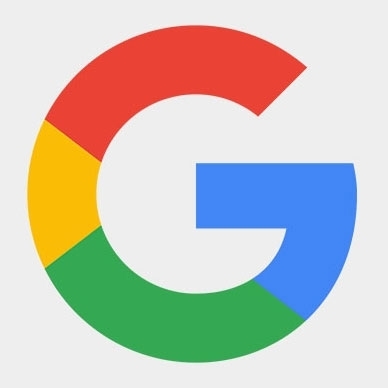 Google Structured Data v4.0.8 PRO - the new version of a popular plugin a marking of structured data of Google which allows to accept data without demanding knowledge of Schema.org or writing of the code. Вв you can add the rating of materials, search queries, the indication of a preferable name for display in search results, social profiles. In upgraded version integration with EasyBlog, RSBlog is added, support of the popular designer of SP Builder, minimization of an output of JSON, adds image parameters. sh404SEF v4.15.2.3878 - SEO extension for Joomla! sh404SEF v4.15.2.3878 - the latest version of the most popular and used seo of tools for the websites Joomla!. This expansion has all necessary tools for optimization of projects for all popular search robots. From the most important functionality it is possible to note a possibility of generation and editing the CNC of links, creation of links of a pagination, website marking, error 404 output, connection of services of analytics, setup of redirects and management of canonical links, setup of short links. sh404SEF v4.14.0.3812 - the new version of the most popular and used seo of the tool and sef of links for the websites Joomla3. This extension has all necessary tools for optimization of projects for all popular retrieval robots. From the most important functionality it is possible to mark a possibility of generation and editing the CNC of links, creation of links of a pagination, website marking, an output of an error 404, connection of services of analytics, setup of redirects and control of canonical links, setup of short links. JSitemap Pro v4.4 - the latest version of an irreplaceable and powerful set of SEO tools for the websites on the basis of Joomla 3. The component allows to create different types of files Sitemap that much more increases visibility and line items of the website in search engines. The card is generated in real time depending on change of content and structure. From features it is possible to mark ability to integrate Google of tools and Google Analytics, SEO statistics, existence of the analyzer of links, different types of a site map (normal, video, images, geolocation), display of diagrams of statistics.